Frank & Lori visited us this past week…. and what a week it was! 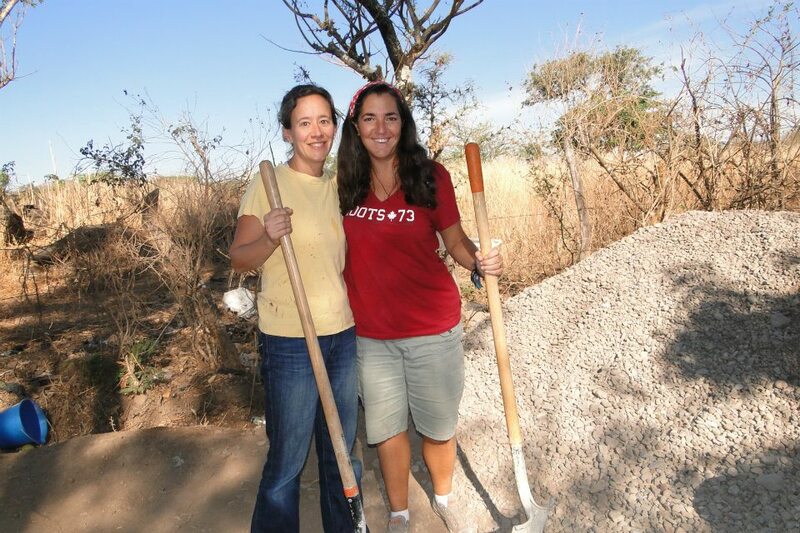 It began on their first full day here, a Monday, when we went to dig a trench around a home in the village. The family would have preferred a new home but unfortunately due to financial constraints all we could offer this family, whose home floods completely during the rainy season was a drainage pipe underground to help disperse the water. The family was happy for this as it will help immensely with the torrent of water that comes down the mountain straight into their home. They dug the trench themselves so all we had to do was put in the pipe and carry the gravel to the ditch for the base & then the covering. It was hard work but with Frank & Lori’s help we were done in a morning. 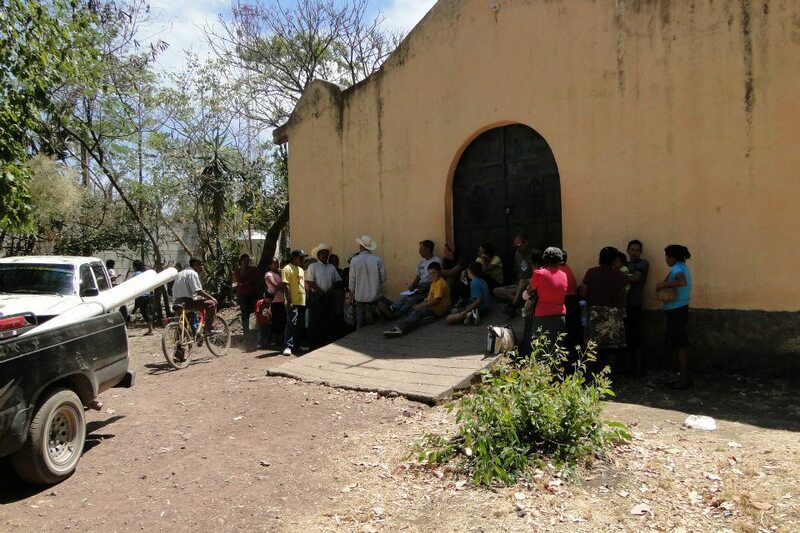 During our break people came to us… they heard that we had been taking people to the doctor and they wanted help. This happens all the time…. whenever we are working in a village, word spreads like wild fire and people begin arriving one after the other asking for help. It’s so overwhelming at times to see this much need. After digging the trench we were off to the Ruano home that the Thielmann’s built and just simply pulling up to the gate there we knew we were in for quite the afternoon…. Dozens of people were there waiting for us to see if they could see our doctor… all with a very specific need…. all worthy… all legitimate… all next to impossible for us with our limited financial resources…. This is the hardest part of this…. So we sat… we listened… we took notes… and it came down to the fact that we could only pick 5. Five out of dozens… all with legitimate needs for the doctor… I cried…. How do we choose? I am not God. I am not worthy to choose… I looked at Lori and her eyes were as full of tears as mine. The woman who had asked for help for her daughter .. and we ended up paying for a funeral instead was there. She came right up to me… she told me that she just walked here to thank us… for the kindness we showed her family by helping with funeral costs. She said she knew that she had said it before…. but she wanted us to know that the hospital did an autopsy on her daughter and found she was pregnant… and that we had 2 special angels looking down on us…. and that …. well that’s about all I heard to be honest. I cried like a baby…. this woman wiped the tears from my face and held me tight… and assured me, with tears in her own eyes, that I have a friend here in Guatemala that will always love and pray for me. A bond of mutual affection…. true, but a friend is so much more to me… a friend is a person who ‘gets you’ .. the real you… the good, the bad, the ugly…. and that is what I have had here…. That Monday was a day I could not have done without Lori… my friend… beside me… ‘getting me’. Even though the day got so hard that at a point we simply could not look at one another without crying… that’s how much she ‘gets me’. People ask me all the time, how I can deal with having a house full of people here constantly…. My answer is simply, I couldn’t do this without them. I need to be surrounded by ‘friends’… people who get me… people who support me… people who know me and love me anyway…. Even people who aren’t here in body…. but send encouraging messages or comments through email, facebook or by phone. Your messages surround me like a warm hug…. even when I can’t reply right away, I read every one… I read them over and over… when times get tough they bring me encouragement to carry on…. When things are fantastic they make me feel like I have people to celebrate with beside me, even when I am alone…. That Monday night with Frank & Lori was a quiet one. Some of us broke down at the dinner table during high’s and low’s…. After, I sat up on our roof with Zack. He was pretty much destroyed by the day’s events. There were a lot of “why’s” floating around in his head. Gabe followed… as did Luke. Geoff went for a walk to be alone with his thoughts and sort things out. I sat on the roof with my boys for hours and talked… sorted… shared… they get me and I get them. Things flew out of us in a torrent. All we had held in for months came out… We got angry… we were sad…. we celebrated our victories and mourned our losses… When Geoff returned, we sat again and our family shared a moment that night that defined us as not only family… but friends….That is rare in many families…. I am so thankful for the privilege of being here… getting to do what I do… share it with my friends from home…. and my family. After Frank & Lori left…. Ben arrived. He is a young man who is living in Columbia right now teaching English… he is a friend from home. He wanted to spend the Easter holiday with some friends from home… I get that… and we are loving having him. He isn’t here to work… he is here as a friend to spend time together. People need people… I get that….I am one of them! As a treat we booked a bus this week…. 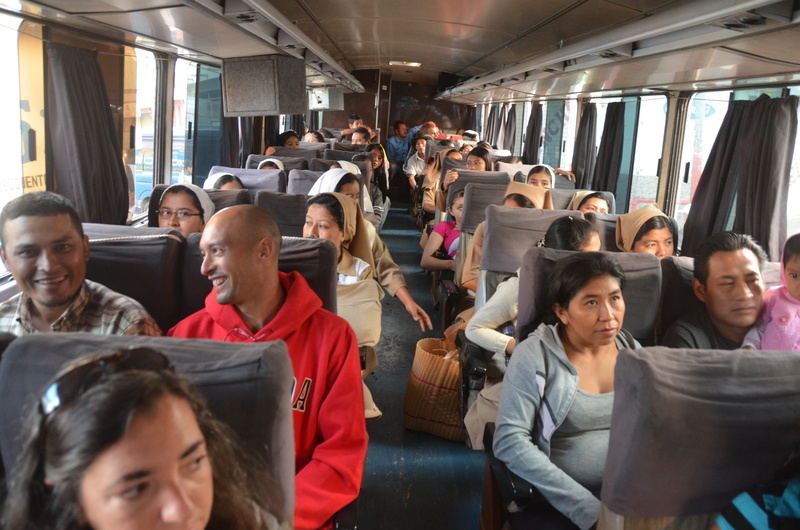 and loaded the Hermana’s and our friends from here into it and went on a road trip to Esquipulas. Esquipulas is home to the Black Christ… a statue from hundreds of years ago that is said to have healing powers. Most of the people had never been to Esquipulas before… and those that had, like Hermana Mercedes hadn’t been in 30 years. People come from all over the world to visit this sacred Basilica and yet those that live only hours from it simply cannot afford the money to go. We did this as a thank you… a thank you to our friends here. 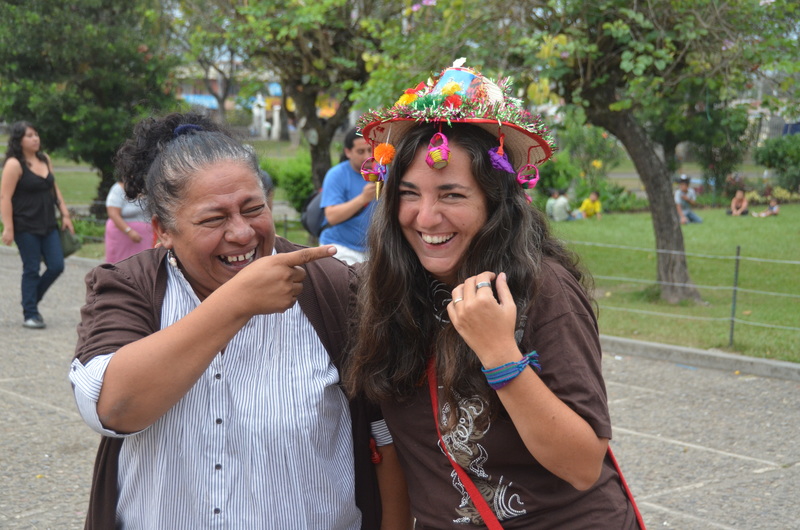 The Hermana’s & Novitiates for all they do, not only for the kids and the poor but for us… supporting, loving, helping… befriending…. 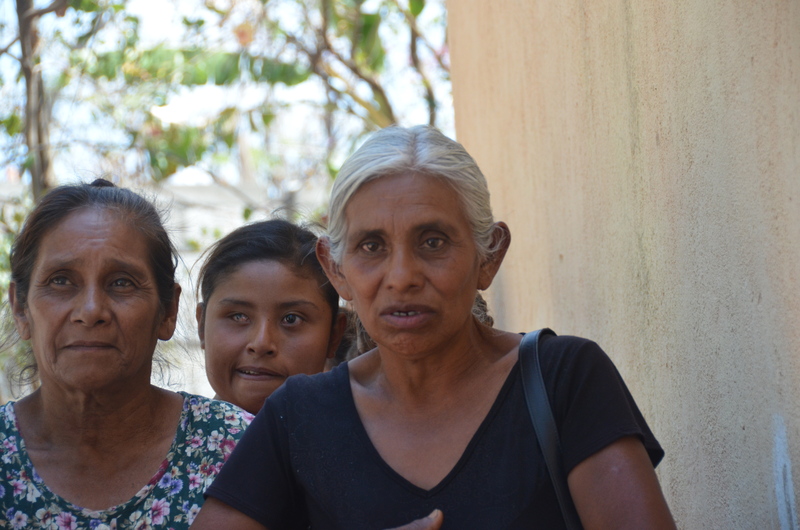 Ileana, Hector and their family for opening their home and theirs hearts to us…. being our friends and loving us for who we are…. Sr Chico, Sr Vilma & Fernando for always being friends & family and helping us however we need… and loving us… The support staff at the Hospital like David, Dominga & their family for always being there with a kind, knowing smile…. Hector & his family….Albero & his family…. Elias and his family…. Caesar and his family…. Mynor & his family… the list goes on and on. So many people… so many friends… There was a part of me that upon coming here I wondered how I could ever stay for 5 months…. now I wonder how I am ever going to leave…. As I said, I could not do what I do here without my friends from home…. but I have learned something… I can not do what I do here without my friends from here either. I have formed relationships here… priceless ones. Other organizations distance themselves from the locals a bit. I am not sure why… I simply know that we chose a different path… we chose to immerse ourselves completely in the culture… in the neighbourhoods… we jumped in with both feet and hoped for the best. We chose to not insulate ourselves…. so we feel… and we feel so much that it leaves us raw and broken at times… but we never feel alone… and that is what is important. We got the best… the best of both worlds… we have friends in Canada… we have friends in Guatemala… real friends… true friends…. friends that will be there for us through thick & thin…. I have to admit it feels good…. all warm & fuzzy to be very cliche. I could do this no other way…. Thank you to my friends… far and near…. You give me strength… you give me hope… you give me encouragement…..you give me love…. and that’s what friends are for…. 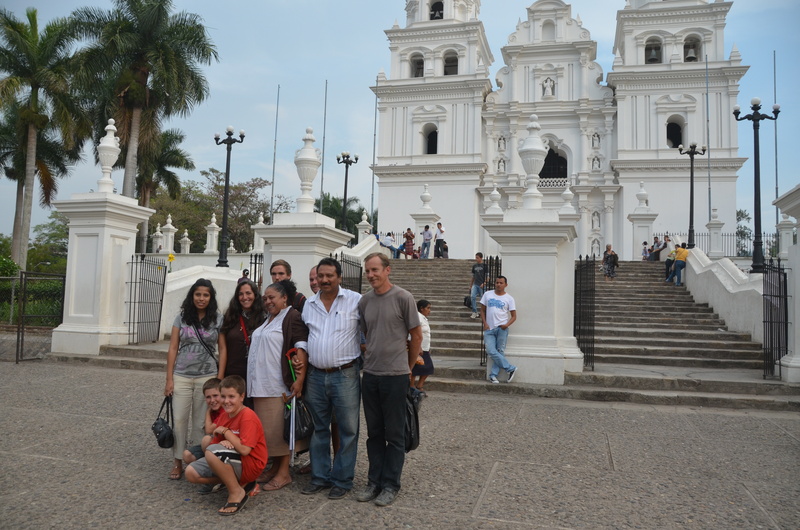 The trip to Esquipulas with a busload of friends! 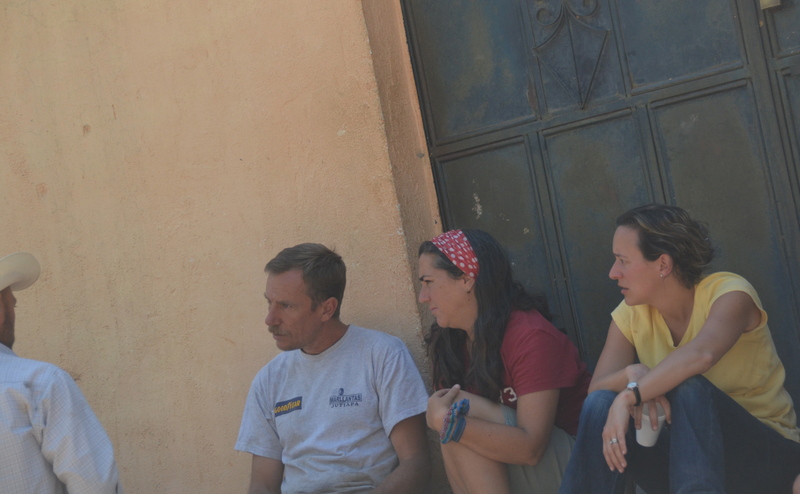 Posted on April 3, 2012, in Guatemala Missionary, Uncategorized and tagged celebrate life, friends, Guatemala, Hope, Malnutrition, mission, Missionary, Volunteers, World Impact, Youth. Bookmark the permalink. 1 Comment. Your blog posts always seem to move me Rita. It reconnects me to my time in Guatemala and you. Thanks for continuing the journal for all of us. Note-2 Bracelets still on as of January 23rd as a constant reminder.